Our daily craft beer sampler flight has landed in a Cascade hop field, the citrusy workhorse of the craft beer industry, but today we’re focusing on Centennial: Cascade’s bigger, more bitter, less flowery cousin. Centennial hops were first bred in 1974 as a cross between many different strains including Brewers Gold, Fuggle, East Kent Golding and Bavarian hops. The name comes from the Washington state Centennial Celebration, which occurred in 1989, just before the public release of Centennial hops in 1990. 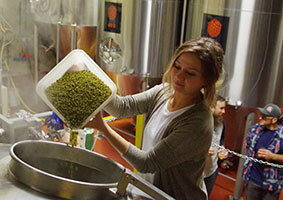 Centennial is a great dual-purpose hop and can be used successfully for both bittering and aroma. Centennial hops are very similar to Cascade and are characterized by aromatic pine, citrus and floral notes. Enjoy five craft beers brewed with Centennial hops in our Craft Beer Crosscut 4.12.19: A Flight of Centennial Hops. 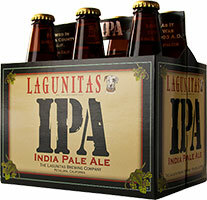 IPA was Lagunitas’ first seasonal, released in 1995. The beer’s labels claim it’s “made with 43 different hops and 65 various malts,” which would be badass if true, if wildly impractical. Cascade and Centennial are in the greatest abundance, and they combine to deliver flavors and aromas of citrus zest, bitter pine, grass, earth and just a pinch of crystal malt to keep the hops in proportion. 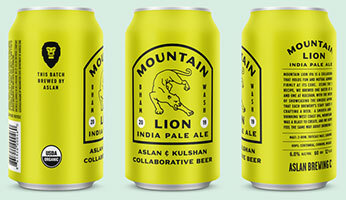 Aslan Brewing brewed this IPA with their friends from across Bellingham at Kulshan Brewing. Together, they created one recipe, centered on a West Coast style IPA, then brewed that recipe at each of their locations to witness how the differences in their operations would impact the final product. Hopped with Centennial, Chinook and Mosaic, this IPA has a firm, classic bitterness with a slightly dank blueberry note on the nose and finish. 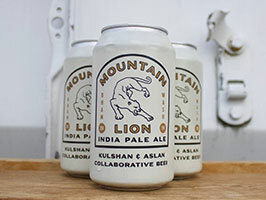 Kulshan Brewing brewed this IPA with their friends from across Bellingham at Aslan Brewing. Together, they created one recipe, centered on a West Coast style IPA, then brewed that recipe at each of their locations to witness how the differences in their operations would impact the final product. Hopped with Centennial, Chinook and Mosaic, this IPA has a firm, classic bitterness with a slightly dank blueberry note on the nose and finish. Deschutes Red Chair NWPA (Northwest Pale Ale) pours a dark, dark amber. You get plenty of citrus on the nose, but also a little pine. Several select European and domestic malts gives this ale a big caramel boost on the front end. Then, things get zesty as the Centennial and Cascade hops kick in, delivering some old school grapefruit and lemon peel notes. 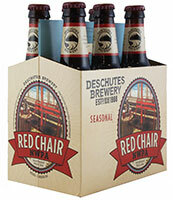 The citrus is robust, but Red Chair isn’t a fruity beer by any means. The hops provide more of a floral element than anything.